Is the first independent regional business magazine for and about the lubricants industry in Europe, the Middle East and Africa. 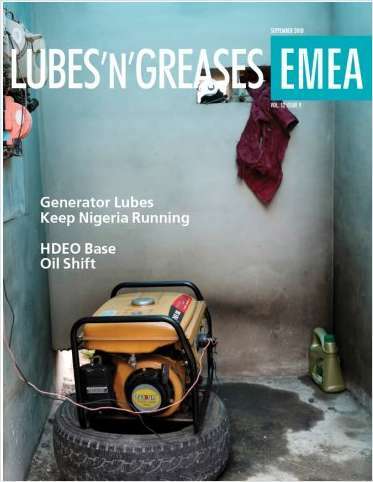 Do you wish to receive a FREE subscription to Lubes'n'Greases EMEA? Check your preference for receiving Lubes'n'Greases EMEA. Complete and verifiable information is required in order to receive this subscription. • Geographic Eligibility: Europe, Middle East & Africa (Print and/or Digital), Worldwide (Digital Only). • The publisher determines qualification and reserves the right to limit the number of free subscriptions.